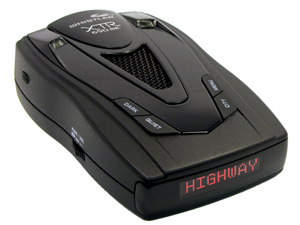 Based upon my 20 years in law enforcement as a certified police radar instructor and 15 years being involved in the speed counter measurement industry, I would classify the Whistler XTR-690SE a GOOD BUY! In my opinion the Whistler XTR-690SE is an outstanding unit with good range and sensitivity putting the leaving the Cobra units and other imports in this category in the dust! This is also backed up by literally thousands of other reviews and feedback made by other automotive publications and happy Whistler XTR-690SE users that you will find online, a few of which are published at the end of this article. I really appreciate the ID feature, because when it shows a frequency it is almost certainly a police radar, not a false alert. I also like the ability to select the backlight color, as my dash lights are red and the detector doesn’t clash. Some other reviews complain that the display is difficult to read in direct sunlight, but I drive a convertible and have no problems with readability. Depending on the way you mount it, you can get a reflection off of the glossy screen, but that’s expected with any LCD. Maybe their real problem was the interior color of their car was too light, making the reflection too bright to see through. The backlight may be too dim to see in daylight, but you don’t need one unless it’s dark. You can see the color for identifying the type of radar when set to bright. A voice announces the signal, so you don’t need to see the display anyway. The compass display isn’t accurate enough to use in a boat, but plenty good for the “one of two directions” choice you face when driving a car. You do have to re-calibrate per instructions when you first mount the detector, or the compass will appear to be stuck. Be careful when selecting your purchase to get the SE model. Amazon listed the XTR-695 without the SE suffix, and those are the older, less sensitive model. Works really well. I am able to detect X-band from at least a mile away. No B/S. As mentioned the ID feature is nice. I do not use the compass because you have to calibrate it everytime you move the radar detector.